Whilst the gardens of the Nevill Holt Estate are unveiled exclusively to you as audience members for three weeks a year, our talented team of steadfast gardeners work tirelessly for the remaining 49 weeks to ensure they look their very best. 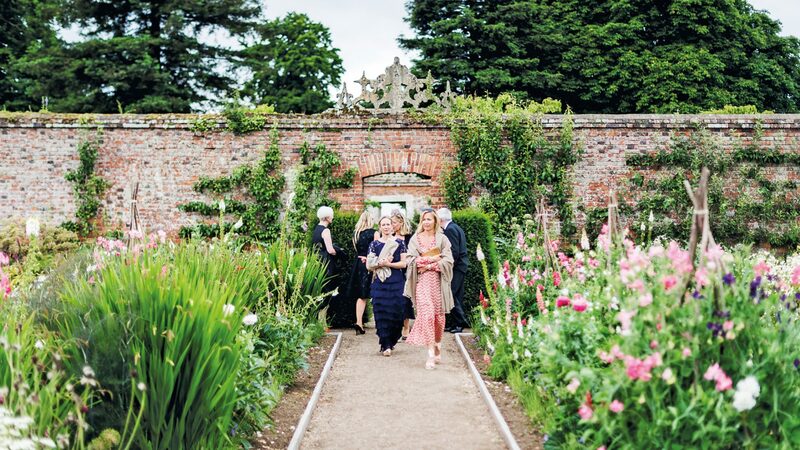 With the consistent encouragement of estate owner and founder of Nevill Holt Opera, David Ross, and the extensive support of an experienced team, led by Head Gardener Andy Bretherick, they keenly develop the horticultural journey of the estate and we are delighted that we continue to see progress each year. Over the past 2 years, Rupert’s main project has been the design of the accompanying garden for Font House, premiered exclusively for private dining during the 2016 festival. He describes the garden as ornamental in style, to complement the contemporary architecture. Rupert always says that placing new sculptures proves to be his biggest trial each year, particularly as pieces are contemporary and often abstract. The pieces create a striking, impactful juxtaposition against the backdrop of the rolling hillsides of the Welland Valley. Furthermore, due to the expansion of our dining options and the addition of the Kitchen Garden Menu, Head Gardener Andy and his team have really had their work cut out growing seasonal produce (albeit slightly earlier than usual) to accommodate the new menu, designed and curated by celebrity chef Ben Tish and our catering partners Stones Events. Taking tips from Chelsea Flower Show experts, the team have ‘brought on’ produce to ensure it’s at it’s very best in time for the festival and the catering team are thrilled with the results. 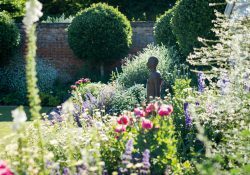 On behalf of us all here at the Nevill Holt Estate; Rupert, Andy, Karen, Zeb and the rest of the team, please do admire and appreciate the gardens – whether in a quiet, indulgent moment of solitude in the Italian Gardens, or whilst socialising with friends on Cedar Lawn. We work hard to create them – enjoy!